Last week at Partner Exchange Duncan Epping and I presented a little deeper insight into the SRM solution we published earlier in the week. One great question that came up was about the processes to change the IP addresses on the various vCloud infrastructure after the failover happens. We mentioned how Site Recovery Manager can change the IP of some Guest Operating Systems, but the IP change also handled differently within the various applications. 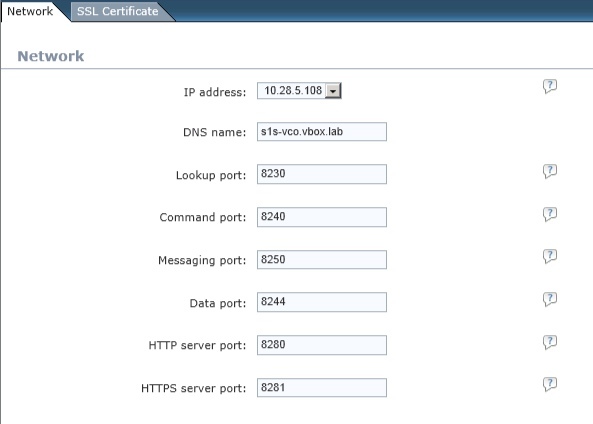 Many of the vCloud applications are bound to the IP address when they are installed or configured. This means if you just change the IP address on the operating system, the application still will not function properly. Below is a quick list of some of the core vCloud applications we used in our SRM testing when we changed IP addresses and the processes to do so. Microsoft SQL seemed to have no issues when changing the IP on the guest OS. The services appear to bind to whatever IP is on the guest at the time the services start. We did not see any issues here, but we also did not test using Oracle. I would suggest checking with your DBA’s to ensure there are no issues, but I would suspect on Oracle you may need to make additional changes. Changing the IP on this service is not specifically required when using the full install. Simply updating the IP on the guest OS is enough since vCenter Server has no direct tie to the Guest IP. This may be different with the vCenter Virtual Appliance, but we did not use that in our testing. You must wait AT LEAST 5 Minutes or more for this change to take effect and all the services to startup. If you try to do anything sooner you might see some odd errors. The services take a bit of time to come back up. Once you make these changes the cell should start and you will see it bind to the new IP addresses when you examine the cell.log file. There is a little known script located on the chargeback server that is needed to change the IP address. Essentially you need to re-run the configuration of the server without re-installing. This covers the “Core” components of the vCloud management stack and changing the IP addresses on them through various means. The key here is to remember that just by updating the networking in the Guest OS does not mean the various applications are properly updated. You may need to check and double-check once the IP addresses are changed to ensure they are working before you continue on with your updates. On the ESXi5 host in /etc/vmware/vpxa/vpxa.cfg you have an entry of the ip address of the vcenter server. 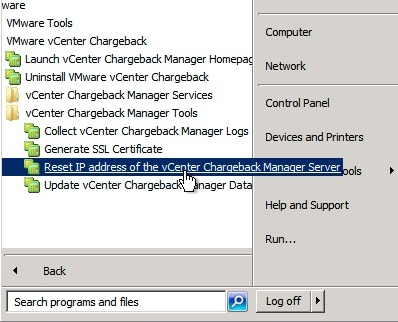 Changing the IP of the vcenter server can result in ESXi host to be disconnected in vcenter. I believe the global.properties is in /opt/vmware/vcloud-director/etc/global.properties rather than /opt/vmware/vcloud-director/global.properties. I believe its a typo in your article, & I only came to discover this as one of my customers were following your article but could not find the global.properties file in there & emailed me asking where its. I hope this benefit others who could not find the file. Funny how long it takes to catch a typo :). I have adjusted it I do not have an install to verify it handy so I will take your word for it. I understand how hard its to spot those typos as I have few that others pointed out to me 2 years after putting the post up. I still had this handy as I just shared it with my customer too :). Thanks & great article as usual. Keep it up!